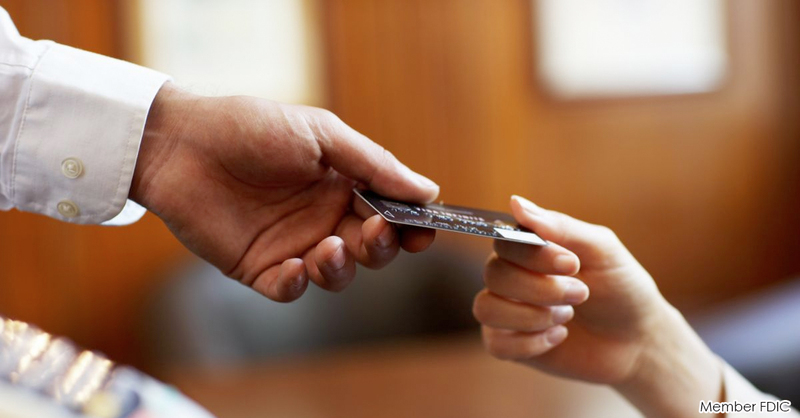 Do You Use Your Personal Credit Card for Business Expenses? While you may be tempted to use your personal credit card when paying for business expenses, it’s important to consider the risks you’re taking if you do. Plus, there are benefits to your business using a dedicated business credit card. 1. Minimize risk. While it may seem harmless to use a personal card for business expenses, you never know when you’re going to need to prove the difference between a purchase for yourself and a purchase for your business. Why blur the line? Consider using one card solely for business expenses to keep from mixing personal and business purchases. In addition, mixing personal and business credit can harm your personal credit score, if your business is unable to pay off future debts. 2. Make things easier for your staff or accountant. Having dedicated business credit cards for yourself or other staff members helps you track business expenses more accurately. With a Merchants Bank Visa Business Credit Card, your employees can even have separate statements to make tracking even easier. Plus, with a dedicated business credit card, you won’t be placing personal and business purchases on the same card, which can cause extra work for those handling the company finances. 3. Build credit. If you have plans to expand your business in the future, your business will need to be credit worthy. You can build credit for your business in a number of ways. A good first step is to open a basic business deposit account, like checking or savings, and apply for a business credit card. With these accounts, you can build a credit history of on time or early payments – much like you’ve done with your personal credit – which will be viewed favorably by potential lenders. 4. Credit card term advantages. Typically your business credit card will allow a higher credit limit and you may be able to get a better rate than a personal credit card. Be sure to read all the terms associated with the business credit cards you are researching to accurately compare your options. Contact us today to learn more about business credit cards for your business. This entry was posted in August and tagged Business Banking, credit card, Merchants Bank. Bookmark the permalink.